These pages will take a little longer to load since they contain all of our on-line selections of fine quality rare collector gemstones for all mineral varieties. NOTE: If the images on this page take too long to load, then you should visit our Gemstones Alphabetical Index where there are links to separate pages for each mineral variety. 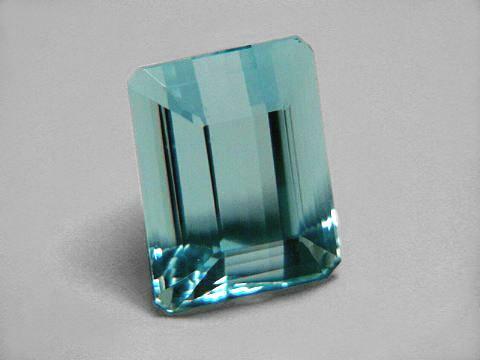 The images of our gemstones on these specific mineral variety pages will load much faster. 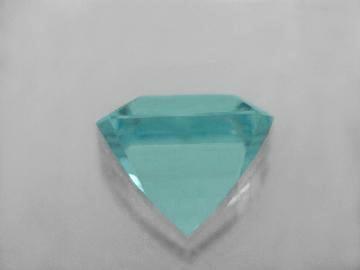 Try our Rare and Fine Quality Gemstones Satisfaction Guarantee - compare our prices and our superior quality. Click on any fine quality natural gemstone image below to enlarge it. This unique 14k yellow gold pendant is set with a superior quality natural chrysoberyl cats eye cabochon gem. This genuine chrysoberyl gemstone has not been heated or treated in any way. It was ground & polished from a chatoyant crystal of natural chrysoberyl (also known as cymophane) that was mined in Sri Lanka. This superior quality chrysoberyl cats eye gem has light golden yellow body color with a very consistent background, and it is transparent and faces up clean with a well developed white cats eye. This genuine chrysoberyl pendant will make a wonderful chrysoberyl cats eye necklace! This 14k white gold pendant is set with a genuine chrysoberyl cats eye cabochon gem. This natural chrysoberyl gemstone has not been heated or treated in any way. It was ground & polished from a chatoyant crystal of natural chrysoberyl (also known as cymophane) that was mined in Sri Lanka. This chrysoberyl cats eye gem has light grayish-green body color with a consistent background that faces up completely clean. This superior grade cats eye gem is translucent with a well developed white cats eye. This solid 14k gold chrysoberyl cats eye ring is set with a fine quality natural chrysoberyl cats eye cabochon gem measuring 8.25mm long x 7.4mm wide and weighing 2.18 carats. This genuine chrysoberyl gemstone was ground & polished from a chatoyant chrysoberyl (also known as cymophane) that was mined in Sri Lanka. See also a side view photo of this natural cats eye chrysoberyl ring design. The fine quality chrysoberyl has a fine greenish yellow color with a white cats eye. This beautiful chrysoberyl gemstone has not been heated or treated in any way. It is translucent with very even consistency it faces up completely clean with fairly well developed eye. This chrysoberyl cats eye ring is a size 6 1/2. This solid 14k gold ring has 2.4 grams of 14k gold. This extra fine chrysoberyl cats eye platinum ring is set with a very rare quality GIA certified natural chrysoberyl cats eye cabochon gem measuring 11mm in diameter. There also are 20 small white natural diamonds weighing 0.35 carats total weight. 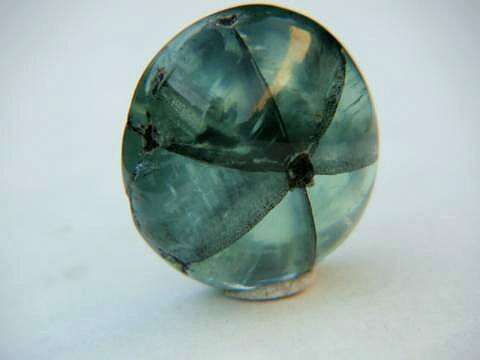 The catseye chrysoberyl gem has a very low profile with very little dome, making it face up very large for its weight. This genuine chrysoberyl gemstone was expertly ground & polished from a chatoyant chrysoberyl (also known as cymophane) that was mined in Brazil. The chrysoberyl has a medium golden-green color with a white cats eye. See another view of this rare quality cats eye chrysoberyl platinum ring. This amazing chrysoberyl gemstone has not been heated or treated in any way. It is translucent with very even consistency and a very well developed eye. See also another view of this genuine cats eye chrysoberyl jewelry design. This chrysoberyl cats eye platinum ring is a ring size 6, with 7.85 grams of platinum. This extra fine chrysoberyl cats eye platinum ring is set with a very rare quality GIA Certified natural chrysoberyl cats eye cabochon gem weighing 6.42 carats. There also are 6 small white natural diamonds weighing 0.25 carats total weight. The genuine chrysoberyl gemstone was handground & polished from a chatoyant chrysoberyl (also known as cymophane) that was mined in Brazil. The chrysoberyl has a medium golden-green color with a white cats eye. 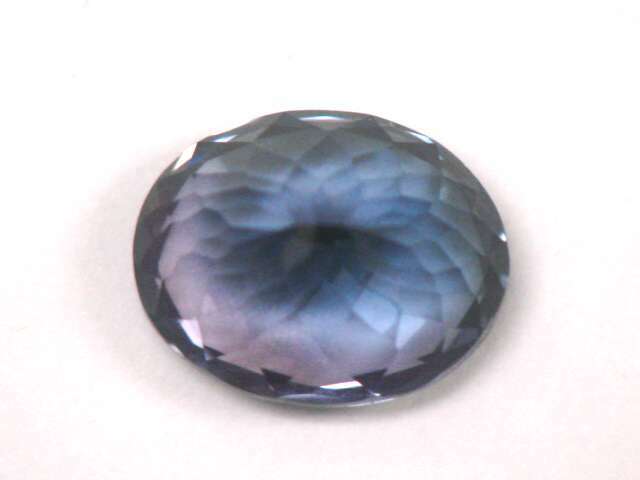 See a top view of this rare quality chrysoberyl cats eye platinum jewelry design. This amazing chrysoberyl gemstone has not been heated or treated in any way. It is translucent with very even consistency and a very well developed natural cats eye! See a side view of this genuine chrysoberyl catseye ring. This chrysoberyl cats eye platinum ring is a ring size 4.5, with 7.44 grams of platinum. See also an opposite side view of this extra fine chrysoberyl catseye ring. This natural tsavorite green garnet gemstone has fine very dark green color (100% natural color - unheated and untreated). This beautiful collector gem is very dark and appears almost black with wonderful green flashes in its depths. This rare quality tsavorite gem is completely clean even under close inspection with magnification and bright illumination (GIA Type II Gemstone, Clarity Grade: Flawless). Totally clean tsavorites over three carats are very rare. It is very well cut with good brilliance. See also another view with light reflecting off the table of this beautiful dark tsavorite gemstone. This fine quality natural color citrine gemstone is completely eye clean even under very close inspection (GIA: TYPE I Gem, Clarity Grade VVS). This unheated gem has very rich medium-dark natural orange-brown smoky-citrine color. See another view of this natural color smoky citrine gemstone. It has not been heated or treated in any way. This natural color smoky-citrine gem was very well faceted from natural color orange-brown quartz crystal rough that was mined in Brazil. This trillion cut gem of the very rare mineral red beryl (also known as "bixbite" or "red emerald") was faceted from a natural color red beryl crystal mined at the Violet Claim in Utah, USA. The color is a very intense red, with slightly violet-red tones. This red beryl gem is lightly to moderately included, and it was shallow cut so that it has the appearance of a 0.35 carat gem! This rare red beryl gem (also known as "bixbite" or "red emerald") was faceted from a natural color red beryl crystal mined at the Violet Claim in Utah, USA. This shallow cut red beryl gem weighs 0.43 carats and it is lightly included. It has intense, deep red color with faint violet tones. This unique Ethiopian opal gemstone is a natural solid opal gem. It was ground & polished into this square cushion shaped cabochon gem from natural crystal opal rough that was mined in Ethiopia. This genuine opal gemstone has very fine quality color play. It has no dyes, no glues, no laminations, and no treatments of any kind! This superior quality opal gem is flawless with no imperfections. It is semi-transparent with white body color and with natural color play inside in beautiful harlequin patterns! See also a side view of this wonderful Ethiopian opal gemstone. This natural Welo opal gemstone has very fine color play with flashes of predominantly red, orange and green color play. The unique opal gem that you see displayed is the actual one you will receive. This unique Ethiopian opal gemstone is a natural solid opal gem. It was ground & polished into this pear shaped cabochon gem with a nice low profile (weighs very little for its size!) from natural precious opal rough that was mined in Ethiopia. This genuine opal gemstone has very fine quality color play. It has no dyes, no glues, no laminations, and no treatments of any kind. This superior quality opal gem has a fine quality finish. It is transparent with natural broadflash very fine color play inside. As you move the light source slightly, flashes of very bright changing colors roll across its surface. See a photo of this natural Ethiopian opal gemstone with the light moved just slightly. See also a side view of this wonderful Ethiopian opal gemstone. This unique Welo opal gemstone has very fine and very bright color play with flashes of predominantly red, blue and green color play. The natural opal gem that you see displayed is the actual one you will receive. This unique Ethiopian opal gemstone is a natural solid opal cabochon gem. It was ground & polished into this pear shaped cabochon from natural crystal opal rough that was mined in Ethiopia. This genuine opal gemstone has very fine quality color play. It has no dyes, no glues, no laminations, and no treatments of any kind! 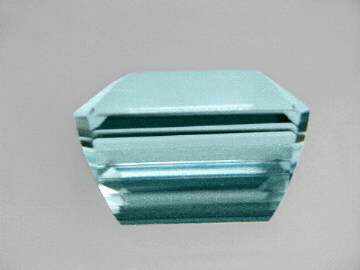 It is transparent with beautiful light blue body color and natural very fine color play inside. This superior quality opal gem is flawless with no imperfections! Transparent opals with color play are also known as crystal opal gems. See also another view of this natural Ethiopian opal gemstone. This unique Welo opal gemstone has very fine color play with flashes of red, orange, green and blue colors inside. The beautiful opal gem you see displayed in these photos is the actual one you will receive. This unique Ethiopian opal gemstone is a natural solid opal cabochon gem. 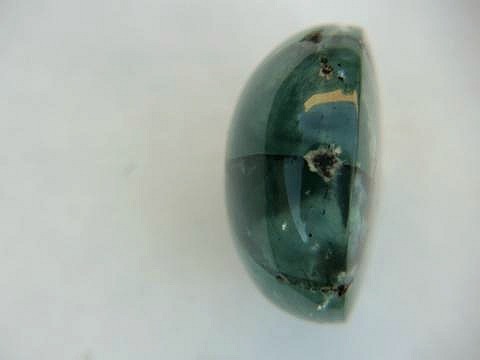 It was ground & polished into this marquis shaped cabochon from natural crystal opal rough that was mined in Ethiopia. This genuine opal gemstone has very fine quality color play. It has no dyes, no glues, no laminations, and no treatments of any kind. It is transparent with amazing natural color play inside. This superior quality opal gem has a fine quality finish. Transparent opals with color play are also known as crystal opal gems. See another view of this natural Ethiopian opal gemstone. See also a side view of this wonderful Ethiopian opal gem. This unique Welo opal gemstone has very fine color play with flashes of predominantly blue and green, with some orange and red color play as you turn the gem. This unique Ethiopian opal gemstone is a natural solid opal gem. It has no dyes, no glues, no laminations, and no treatments of any kind. It was ground & polished into this free-form or "nugget" shaped gem from natural precious opal rough that was mined in Ethiopia. This genuine opal gemstone has extra fine quality natural color play with beautiful flashes of red, green, orange and blue colors inside. Nugget shaped opals are very popular for wire wrapping into unique pendants! The expert gem-cutter who crafted this beautiful gem carved away all impurities leaving only the pure transparent opal with extra fine flashes of natural color inside. See also a side view of this extra fine Ethiopian opal gem. This superior quality opal gem has a fine polish. As you move the gem, flashes of very bright changing colors flash & roll from within across its surfaces. See another photo of this unique extra fine Ethiopian opal gemstone. This unique Ethiopian opal gemstone is a natural solid opal gem. It has no dyes, no glues, no laminations, and no treatments of any kind. It was ground & polished into this free-form or "nugget" shaped gem from natural precious opal rough that was mined in Ethiopia. This genuine opal gemstone has extra fine quality natural color play with beautiful flashes of green, red, blue and orange colors inside. Nugget shaped Ethiopian opals are very popular for wire wrapping into unique pendants! The expert gem-cutter who crafted this amazing gem carved away all impurities leaving only the pure transparent opal with extra fine flashes of natural color inside. See also an opposite side view of this extra fine Ethiopian Opal. This superior quality opal gem has a fine polish. As you move this unique gem, flashes of very bright changing colors flash & roll across its surfaces. See a side view of this extra fine opal gemstone. This unique Ethiopian opal gemstone is a natural solid opal gem. See also a side-view of this natural Ethiopian Opal Gemstone. This genuine opal gemstone is transparent with extra fine quality natural color play inside showing flashes of green, red, orange and blue color play on all surfaces and with a beautiful blue-white body color. It has no dyes, no glues, no laminations, and no treatments of any kind. This superior quality opal gem has a nice low profile with a fine quality finish. As you move the gem slightly, amazing flashes of very bright changing colors roll across its surface! See another photo of this extra fine Ethiopian Opal Gemstone. This unique Ethiopian opal gemstone is a natural solid opal gem. See also a side-view of this natural Ethiopian opal gem. This genuine opal gemstone is transparent with extra fine quality natural color play inside showing flashes of green, orange, red, and blue color play on all surfaces and with a light blue-green body color. It has no dyes, no glues, no laminations, and no treatments of any kind. This superior quality opal gem has a nice low profile with a fine quality finish. This fine color natural demantoid garnet gem is exceptionally well faceted in this round brilliant cut with superb brilliance. It has very beautiful medium dark slightly yellowish green natural color (this natural demantoid gem is unheated and untreated). This demantoid gemstone faces up clean, with a faint natural inclusions that are only visible under microscopic examination (GIA: Type II, Clarity Grade: Eye-clean). 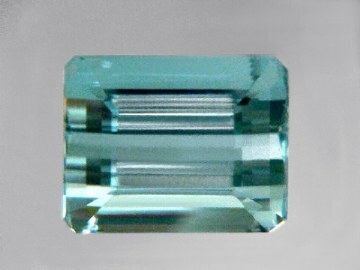 This is the end of page 1 of our Rare and Fine Quality Natural Gemstones. To see photos of crystals, jewelry, etc... for a specific mineral variety, just select any item category link in our Mineral Inventory & Factsheet Index. Would you like us to inform you when we add more natural gemstones of rare collector quality on this page? We do have more fine quality gemstones in stock, so be sure to let us know if you have any special requests. Please contact our webmaster or our 'site' geologist with any questions or comments.